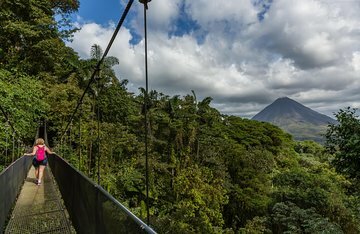 A different kind of eco-tourism project, Mistico Arenal Hanging Bridges Park features a series of suspended bridges that allow you to explore the park at different levels. Stable and secure, the platforms allow visitors to explore the rain forest comfortable and safely. Explore the park with a guide who can share information about the local biodiversity.